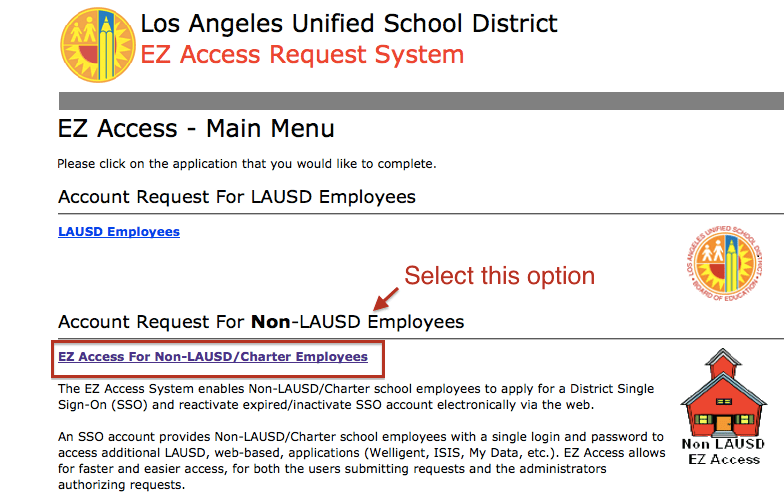 Step 2: Select "EZ Access for Non-LAUSD/Charter Employees"
Step 3: Select "I do not have a Single Sign-On Account"
Step 5: Select "New Single Sign-on Account request"
Step 6: Complete the downloaded application which includes the following fields. Step 7: Submit application online. 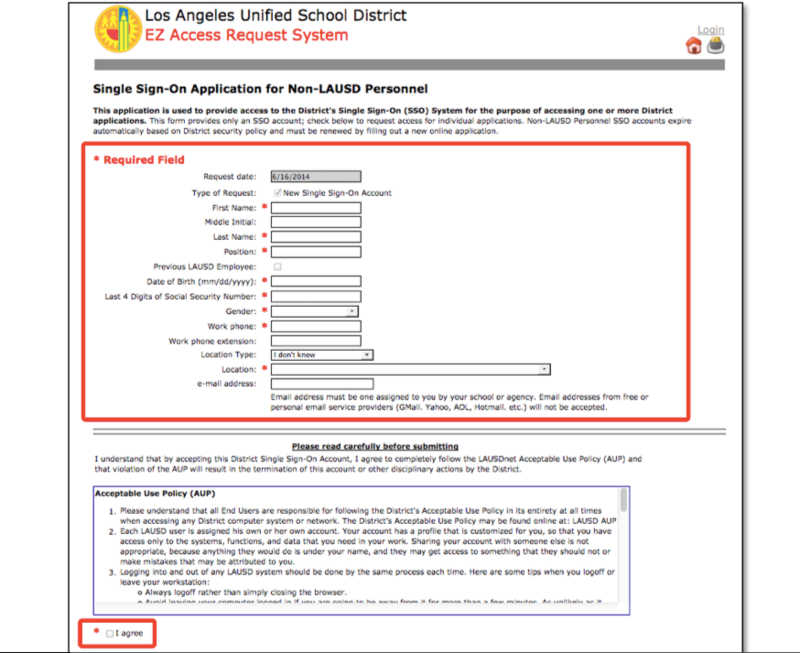 A SSO (Single Sign On) account is required for schools in LAUSD(Los Angeles Unified School District) that are required to utilize any of the systems that LAUSD provides to upload secure information as well as access information systems such as MiSiS. If you, as an administrator, do not have a SSO, use the following steps to complete the application as soon as possible in order to ensure access to LAUSD’s systems throughout the course of the school year. You will receive the following confirmation after you submit the application online. Once an application is submitted, LAUSD may confirm your security status with the school leader that is able to authorize your access. 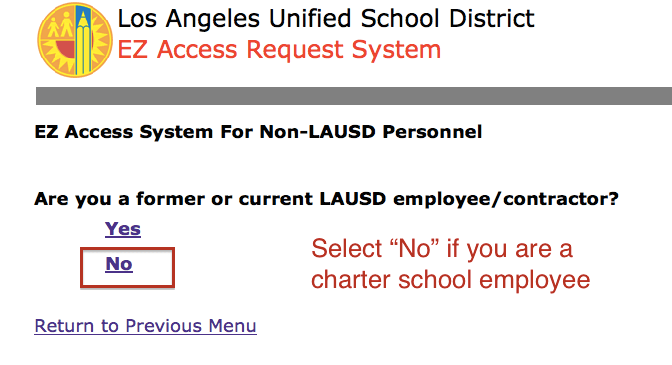 If you do not receive instructions to activate your account or if the school leader never received a request to authorize you as a user, you make contact the LAUSD Help Desk to answer questions about your application. You may contact them at: (213) 241-5200.